Police are appealing for information after three cars were damaged at a Northumberland garage. 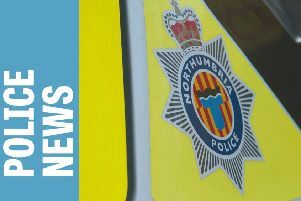 It happened between 11.30pm on Friday and 8.20am on Saturday at Tyne View Autos, in Tyneview Terrace, Prudhoe. Three vehicles parked at the garage had their windows smashed. It is believed that beer barrels left at the scene were used to cause the damage. Police are investigating the incident and are keen to speak to any witnesses or anyone with information. People can contact police on 101, extension 69191, quoting log number 362 31/01/15, or the independent charity Crimestoppers on 0800 555 111.